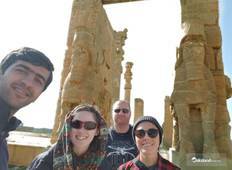 "Had an amazing time in Iran thanks to Hamed and the Iran Plateau team. The skiing..."
"we had this tour with seven seas travelers last year. It was amazing, our tour guide..."
"The trip itself is a long one so be prepared to sit for long periods of time, but..."